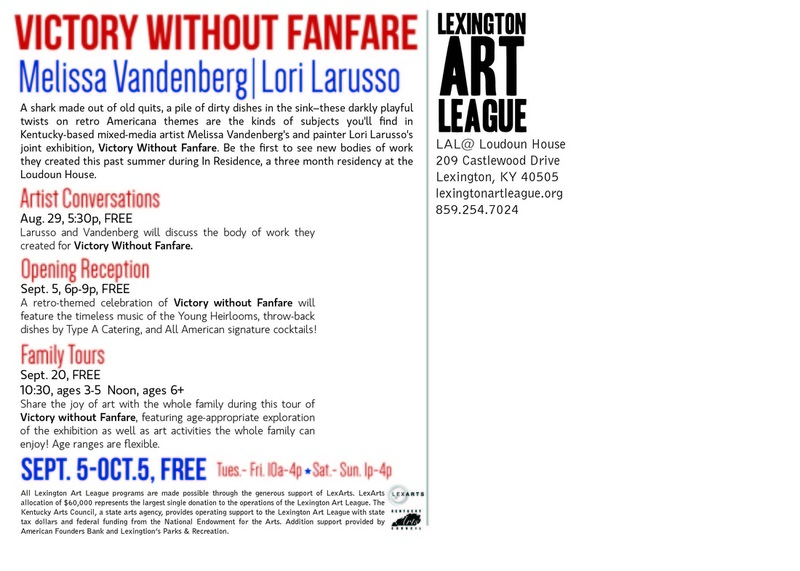 At the end of their residency, Melissa Vandenberg and Lori Larusso premiered all of the artwork in a show entitled Victory without Fanfare. The design challenge came when we had to figure out how to combine the two artists styles. 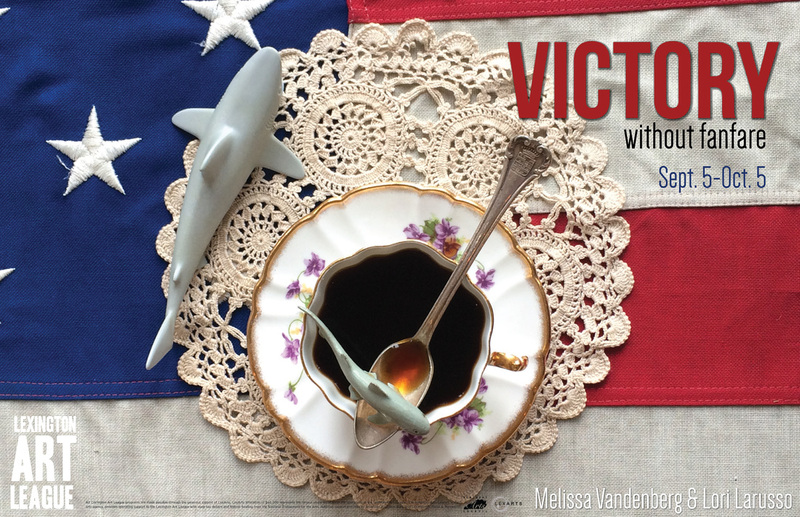 Melissa, a fiber sculptor with patriotic themes, and Lori a painter who's work reflects the ideas of home and how roles have changed since the 1950's. To blend the two styles flawlessly, an eclectic photo-shoot was created, filled with items that hinted at the work each of them had created. Middle Left: Ad in Story Magazine, Middle Right: Front and Back of Postcard.